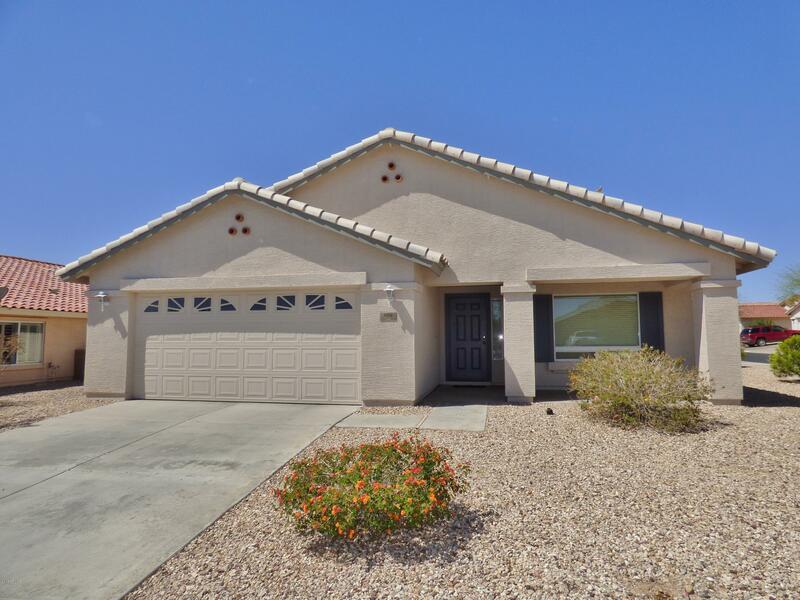 All SUNDANCE PARCEL 13 homes currently listed for sale in Buckeye as of 04/19/2019 are shown below. You can change the search criteria at any time by pressing the 'Change Search' button below. "This Tapaderos Model offers a great floor plan with formal living room, and Great Room Kitchen. The Great Room has lots of counter space and L-shaped Breakfast Bar Island, granite counters, and lots of storage, to include a large pantry. The high ceilings make this a very open yet comfortable space. The master bedroom is large with dual vanities, shower and tub, and large walk-in closet. The secondary bedrooms have a large shared bath, all the living and wet areas are tiled. All rooms have c"